Recent Internet security threats have raised an alarm on all levels of computer users from corporate to home users. Recent security threats have emerged in all different forms and modes. While many users were affected by deadly malware threats some were victim to ransomware attacks again a form of malware. When users are taking certain precautions to avoid such threats still these attacks are viable and users are yet vulnerable to data loss and security breaches. Today users are more alert when they do certain online activities yet having a reliable security suite is always advisable to create a defense wall against all malware threats. In this article, we have discussed top 5 Internet protection software tools for Windows to safeguard your online security. Bitdefender Internet Security: Bitdefender Internet Security offers precise security to your system based on its smart security techniques. It detects and removes all cyber threats from your system avoiding chances of data loss. It offers Webcam protection with better privacy and multi-layer ransomware protection to keep your data safe. It effectively prevents unauthorized access to your data from outsiders and offers 24/7 comprehensive security and support. It blocks non-secure websites to avoid phishing and fraud scams. It offers secure browsing where it keeps your data safe on your system using smart techniques. It even works as an effective deterrent against some sophisticated virus threats like rootkits, where it reboots your system in Rescue Mode for effective cleanup and restoration. In other features, it offers parental advisor, privacy firewall, social network protection, password manager, file shredder, and much more. Advanced System Protector: Advanced System Protector is meticulously designed to provide you tailor-made services against all security threats on your Windows system. This state-of-the-art software works on advanced techniques to provide thorough security to your system and data on it. It works as an effective internet protection software tool to provide extensive security. This light weight software tool keeps on running in the background without affecting system performance to provide complete security. It offers multiple scan modes to fix all type of issues. It provides proven security to your system where it finds and cleans 100% system threats. It keeps on updating its database of malicious content to provide you security from recent malware threats. It protects your system from phishing scams, adware, spyware and other malware threats. It offers real-time protection to your system using its powerful search engines. Norton Security: Norton Security protects your system and data on it from spyware, viruses and online threats. It helps you keep your identity safe and perform online transactions in a secure manner. Its upgraded versions may secure multiple systems with a single subscription. Further, it is designed to protect all your systems with an easy-to-use Web portal. It is tailor-made to fit into various needs where you can add more security features as your needs change. It even offers family safety features for extended security. You can also use cloud PC storage feature for better results. It helps you protect your sensitive information like bank account details, passwords, credit card details and much more while using public Wi-Fi. Kaspersky Internet Security: Kaspersky Internet Security defends your system from spyware, phishing scams, viruses and all other dangerous websites. It combines security and efficiency to keep your device performance intact. It works son user-friendly security management process to save your time & efforts. It keeps you safe when you make a back transaction or do other online activities. It helps you keep intruder away from your private life. It helps you block inappropriate content online or on social networks to provide a secure network for your kids and family. Its secure password manager feature keeps your important password safe & secure. Further, it offers file backup & encryption features for improved security. Trend Micro: Trend Micro offers premium security to your system from all malware threats. It offers various useful security features to keep your online activities safe. Its file shredder feature allows you to permanently remove unnecessary data from your system and password manager protect your files with strong passcode. This effective software offers more than a simple anti-virus program. It keeps your system safe from all malware threats including ransomware. It allows you to limit access to sensitive information by kids using the parental lock. It further scans vulnerable settings on social media accounts for safe browsing. Conclusion: Internet protection software tools work effectively to keep your system from all online threats. It offers real-time security to provide extensive security. These tools work on advanced techniques and smart search engines to find and remove all malicious content. We have discussed some effective tools here to keep your system safe and intact. Summary: Internet protection software tools work more than any anti-virus program. They help you keep your online activities safe and intact. 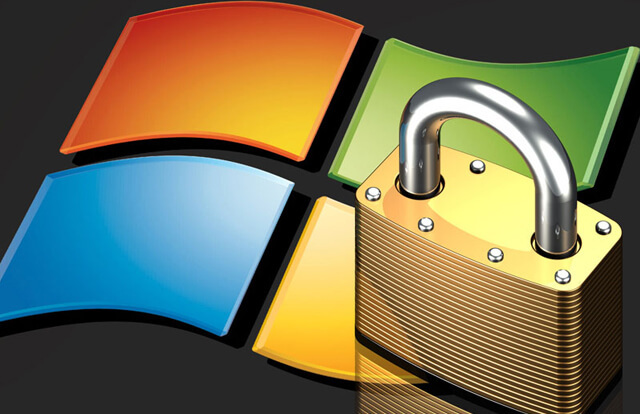 Let’s discuss top 5 Internet protection software tools for Windows in this article.